Eudlo Mimic Panel: This project involves the restoration of a small former Queensland Railways mimic panel. 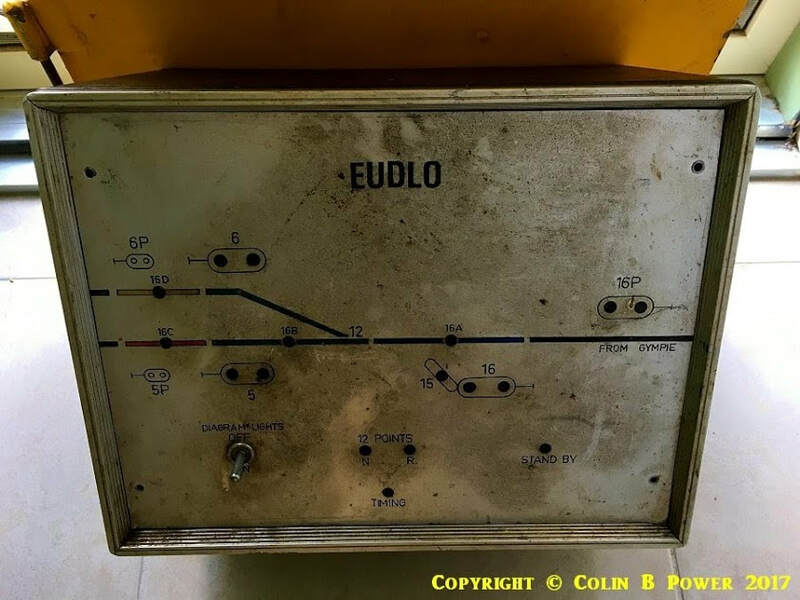 The panel came from Eudlo station (North Coast Line) between Mooloolah and Palmwoods stations and was located in the signal cabin. Eudlo opened as a crossing station in February 1914 dividing the Landsborough-Woombye section, a crossing loop was provided and temporary signalling was commissioned. In July 1914 Eudlo was fully signalled and interlocked with a small signal cabin (Type 1) installed near the Gympie end of the station building. A photo of this building can be seen on the Signal Cabins - No Remains page. In April 1915 Palmwoods station opened as a crossing loop north of Eudlo, and in June 1915 Mooloolah opened as a crossing station south of Eudlo. By this time Electric Staff had replaced Ordinary Staff as the safeworking system. All these changes were due to train services increasing in frequency, and train lengths increasing with larger and more powerful locomotives available to haul them. 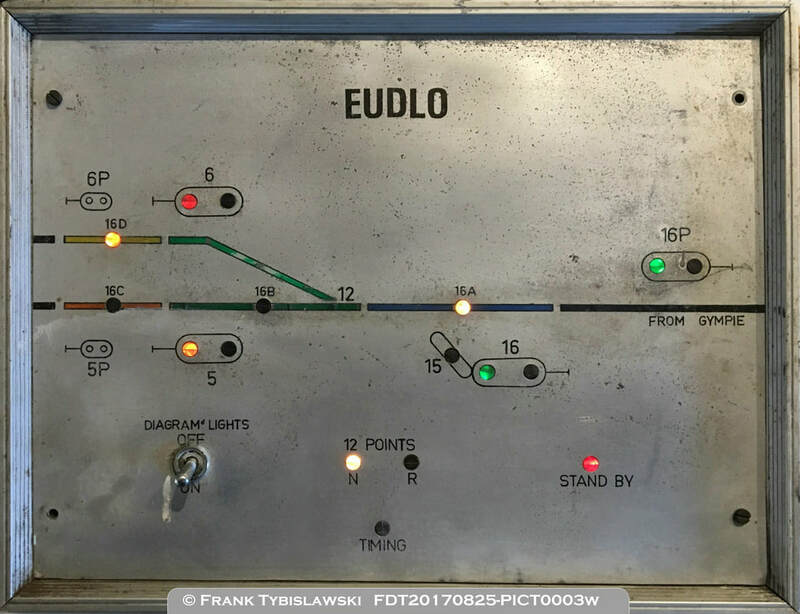 In 1933 the crossing loop at Eudlo was extended and it was extended again in 1972, this is when the small mimic panel was provided. As the new points and signals were even further from the signal cabin it was decided to operate them electrically instead of mechanically. This same arrangement was used at several stations on the North Coast Line and also the Main Line between Helidon and Toowoomba when crossing loops were extended. By October 1982 CTC had been commissioned and the signal cabin at Eudlo was made redundant. Click here for a link to Colin's Google Photo Gallery. Prior to restoration: the exterior was quite dirty/greasy, but in generally good condition with all parts in place. 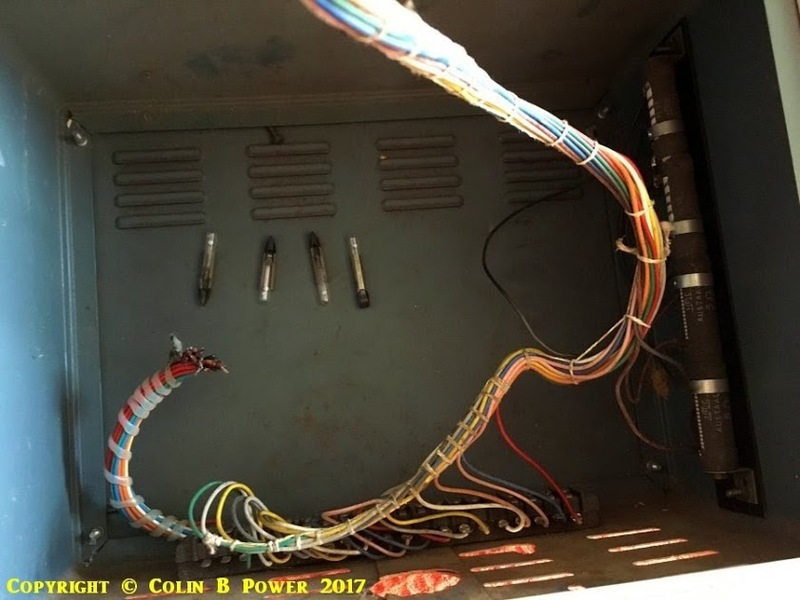 Inside prior to restoration: a few stray/spare bulbs, the cut off wiring, and wire-wound variable resistors to adjust lamp voltages (not required post-restoration). Almost complete: stray wiring cut away, all lamps replaced with new lower voltage lamps and tested. 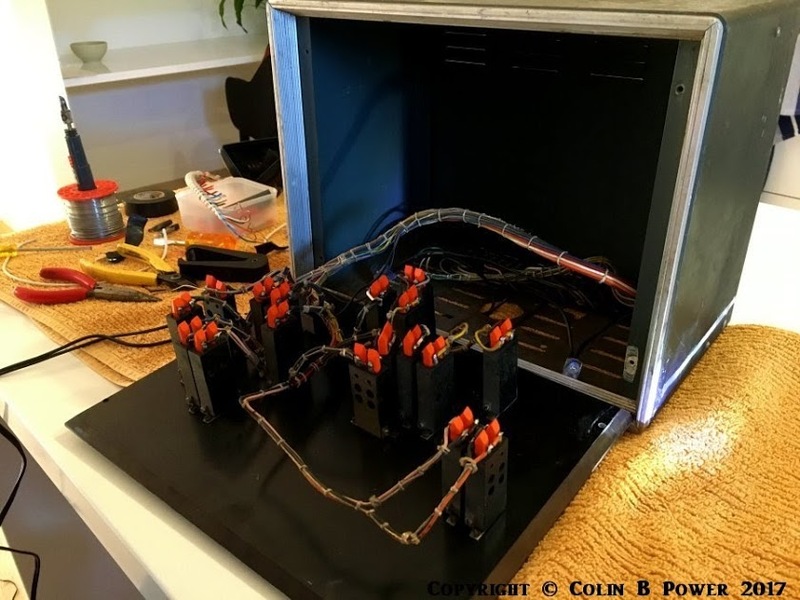 Testing: at this point several lamps were connected and hard-wired to an external plug-pack power supply to simulate the mimic panel in operation. 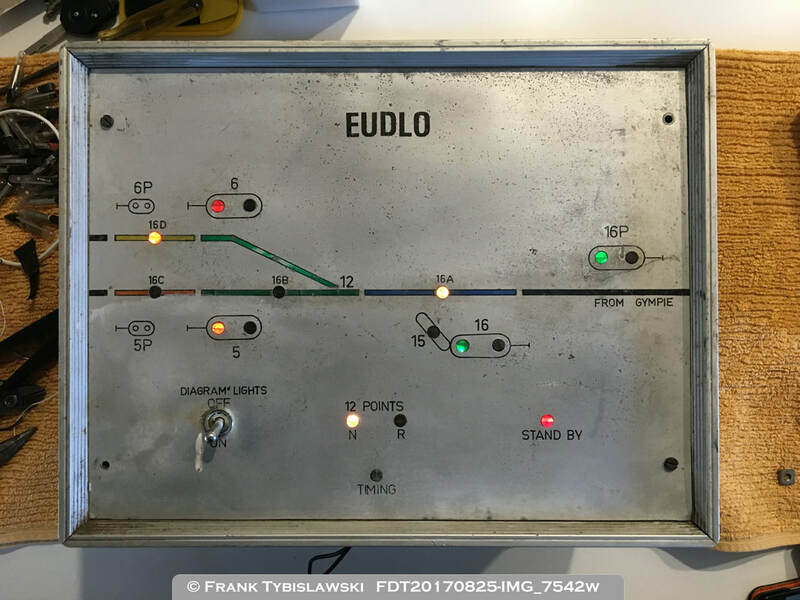 Complete: the 'Diagram Lights' switch is also connected to turn off the lamps just like when the mimic panel was in use at Eudlo. Similar style mimic panels from Murphy's Creek, on the Main Line between Helidon and Toowoomba, and another at Grandchester between Ipswich and Helidon.